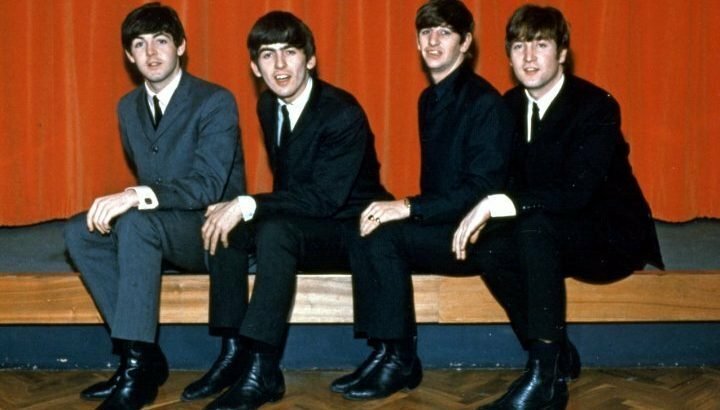 AceShowbiz -A rare album by The Beatles, which was once owned by John Lennon, has been put up for auction. The early copy of the band’s “Yesterday and Today” album caused controversy when it was released in the U.S. in 1966, as a result of its cover which shows the band smiling, dressed in white coats and covered in pieces of raw meat and decapitated baby dolls. The image is believed to be the group’s protest against the Vietnam War, and was subsequently withdrawn and replaced with more publicity-friendly artwork. Lennon’s personal copy of the record, which was apparently hung on the wall of his New York apartment before being gifted to fan Dave Morrell in the early 1970s, is estimated to sell for $178,754 (£136,000) when it goes under the hammer at Julien’s Auctions annual event, “Music Icons: The Beatles In Liverpool”, in May. The collectors item includes a hand-written message from Lennon to Morrell, reading “To Dave, from John Lennon, Dec 7th 1971,” and has a sketch on the back by the singer, showing a man holding a shovel with his dog in front of a setting sun. Morrell later obtained autographs from Ringo Starr and Paul McCartney, and the record is believed to be the only original that bears three of The Beatles’ signatures. Other items in the lot include Lennon’s school detention record, a Les Paul Junior guitar that was owned and signed by the “Imagine” hitmaker, and a signed baseball from the band’s final U.S. concert in August 1966. Elsewhere, one of McCartney’s teenage exercise books from 1959 is also up for sale and is expected to bring in as much as $13,137 (£10,000) when it is auctioned at Omega Auctions in Newton-Le-Willows, Merseyside, on Tuesday, March 26. Melbourne v Sydney: Which city has the better live music scene?